The term ‘aesthetic bodybuilding’ has been capturing much attention in the physique-building world lately. What is it? Aesthetic bodybuilding refers to building the physique that looks pleasing for the eyes and boosts self-confidence. Before going into details though, let’s define its meaning. Aesthetics is a set of principles, which are designed for creating and appreciating beauty. This word refers to your feelings towards something beautiful or is used as a basis for saying that thing is indeed pleasing. Bodybuilding pertains to the use of workouts for developing, controlling and maintaining muscle appearance. It is also a set of activities performed to achieve a better-looking and healthy body. You can body build in a gym or at home, but you must know which routines could fit your goals and body condition for the best results. In a nutshell, combining aesthetics (beauty) and bodybuilding (building muscle) means building and sculpting a physique for the sole purpose of looking good, and nothing more. A person who’s into aesthetic bodybuilding doesn’t care about being the biggest, being the strongest, nor having the most endurance — all he cares about is shape, symmetry, proportion, and the overall balance of his look. This means that anyone who lifts weights in the gym for the purpose of developing their physique is called a bodybuilder — whether he’s doing it for aesthetics or not. Therefore, based on the statement above, the only difference between aesthetic bodybuilding and ordinary bodybuilding is their end goal. In ordinary bodybuilding, the end goal is to build muscle through your workouts. That’s it. As long as you’re building muscle and progressing through your workouts, you’re fulfilling your purpose. It doesn’t matter if you have a high body fat percentage, overdeveloped arms, or lagging legs, just as long as you’re working out to develop all these, you’re into ordinary bodybuilding. In aesthetic bodybuilding, the end goal is to look phenomenal by specifically tailoring your workout and diet plans based on different needs. Here, you’re still part of the bodybuilding world, but you’re not just concerned about building muscles and getting big anymore.You’re more focused on your overall symmetry and balance, and you do this by lowering your body fat levels and bringing up your weak body parts. If you think a bigger chest will add symmetry to your physique, then you develop your chest more. If you see that your abs are not yet well-defined, then you diet down to bring that up. It’s all about the looks. For aesthetic bodybuilder examples, think of fitness models, and men’s physique athletes. How To Get Aesthetics In Bodybuilding? Just like for other body transformation goals, aesthetic bodybuilding has its basics, whether you’re doing it for muscle gain, competition preparation or weight loss. That said you should follow the principles. Follow an aesthetic diet plan, which must be suitable for your lifestyle. It must be one that you can stick with towards your goals of achieving an aesthetic look. There are diet techniques, which include intermittent fasting, low-fat diet, high protein diet, the caveman diet or carb cycling from which to choose. But whichever you select, they all have the basics of tracked or untracked macros and calories. Determine how many calories you need daily for proper function. Manipulate calories (to decrease or increase calories to lose pounds). Once you have the results, divide it by the 3 most important macros – carbohydrates, fat, and protein. Determining the answer may take time and requires trial and error. But in the end, you’ll be rewarded because you can get continual gains for staying consistent. Take meals properly, drink more water. Do not drink alcohol and soda. Breakfast must be the heaviest and loaded with carbohydrates. Meal in the evening must be light. Do not go long hours without eating. Eat high protein and clean food all the time. Consider these recommendations for a specialized training, which aims at getting the correct proportions and growing every body part. And once you hit the desired size of certain muscle groups, transfer those groups into a maintenance exercise plan, meaning for less volume a week. While maintaining those muscles, you’re building the other weak areas of your body. These are three essentials of aesthetic bodybuilding. For one, lack of muscle recovery leads to decreased energy levels/ increased muscle stress. Consequently, you’ll get fewer gains and lower gym performance. And if you’re thinking about weight loss, lack of muscle recovery will prevent it from happening. Regarding rest, find an activity that lets you achieve it completely. Avoid watching TV for relaxation because it just stimulates the brain, not a good kind of rest. Meditate or practice breathing techniques instead. For recovery, you need to pair it with rest, sleep, and nutrition. If not, muscle gain and fat loss potential will slow down. Finally is sleep, which is an underrated component of a training plan for improved physical appearance. The amount of sleep you get varies on your work, stress level and kind of lifestyle, but everyone requires at least seven hours a day as much as possible. Relax, take a day off and sleep. 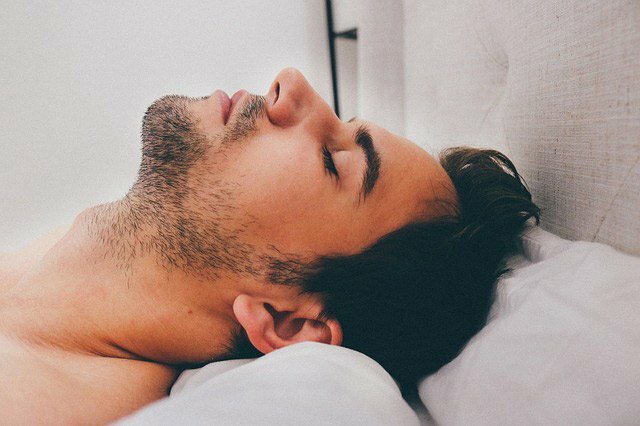 Sleep like hell, according to bodybuilding aficionados. Eat green veggies and drink protein shakes, and then what else – sleep again! Its agenda is repairing the muscles. Making adjustments is important for muscle growth – allowing you to perform powerful sets and shortened rest time, as it improves endurance and stamina. For example, you should use tracking software or logbook to improve your gym efforts. Never be on a plateau, but if you do, you must make changes to go back on track to gain muscle. Set a realistic goal and be true to yourself. Train with quality in mind, not quantity. The focus must be the same as well – minimize fat gain and maximize muscle gain. Keep proper form and posture in training. Lifting heavy weights, keep a good posture to avoid injuries and work the right muscles. No juicy traps or steroids – avoid them at all cost. People who are new into aesthetic bodybuilding fall into it. These things only lead to side effects such as shrunk balls, harmed gonads, liver failure, baldness or facial hair growth. There you have a definitive guide to aesthetic bodybuilding to consider for the best results. Create a plan for diet, workout, rest/recovery/sleep, and periodization and follow it consistently. While it is a challenging task to build your body for aesthetic, it will reward you in the end – with higher self-confidence, better-looking muscles and improved strength.